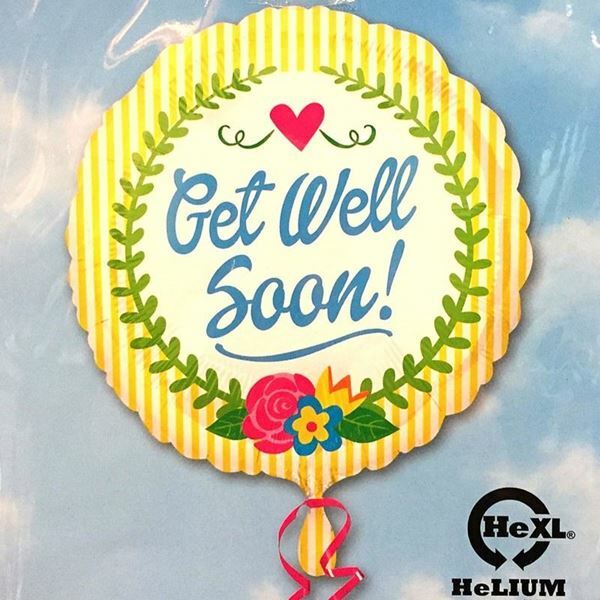 17" Get Well Soon Helium Foil Balloon. IMPORTANT NOTE: All additional gifts option are only available as add-on to flowers arrangement purchases and cannot be purchase as its own. 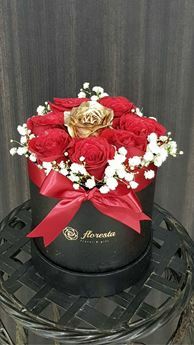 7 Stalk Of Red Roses 1 Gold Roses With Baby Breath arranged in our signature round black box.